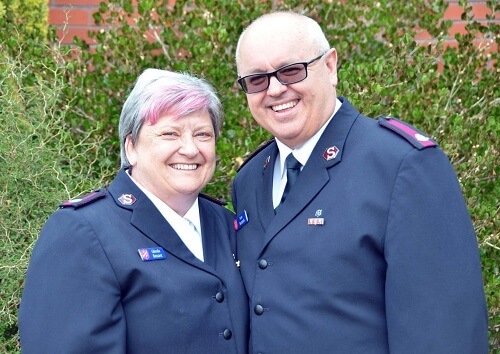 Appointed in 2019, Ivan and Glenda Bezzant are the corps officers for Hutt City Corps. But you can’t do it all yourself. You have to have others,’ Glenda finishes his sentence. ‘That’s how we’ve done our officership. A lot of people have been prepared to sit through the warts and all with us, and we’ve sat through the warts and all with them.